According to Dr. Naiman, one of the best ways of understanding those two types of sleep is to think of them as different kinds of nourishment. “Sleep and dreams are a bit like water and food to the psyche, to the soul, to the mind,” he says. For optimal health, you need both. “We have to keep in mind that sleep debt accumulates. If somebody is losing, say, an hour of sleep every night, and if they’re sleeping an average of seven hours, at the end of seven days and nights, they will have lost the equivalent of a full night’s sleep. Dr. Naiman recommends looking at the quality of your waking day to determine whether you’re getting enough sleep. If your energy is steady and rhythmic through the day, you’re probably getting good-quantity and good-quality sleep. Because most of your REM or dream sleep occurs in the latter third of the night, sleep loss at that time results in what Dr. Naiman refers to as “dream deprivation.” Another factor that contributes to dream deprivation is the routine use of an alarm clock. When it goes off, it will oftentimes wake you out of the tail end of a dream. “This is like having a really good novel, but tearing off the last few pages. It’d be very, very frustrating,” Dr. Naiman says. 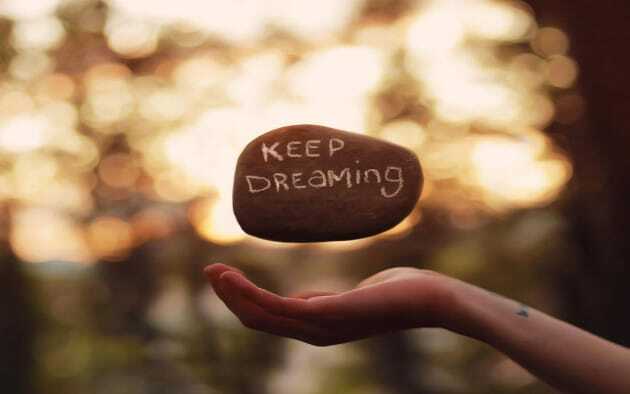 “Dreaming is essential. In recent years, there’s been a lot of research underscoring the fact that dreaming has functions very different from sleep. I think of the dream as being a digestive and assimilating process for information… In a sense, during REM sleep and dreaming your brain becomes a second gut. If we think about all of the information that we’re exposed to in the course of a single day – the conversations, the things we read, the things we see, hear, and think about, and all the things we just experience through our senses – all that information can be understood as something we consumed. What happens in REM sleep is all of this information we’ve metaphorically swallowed is digested and assimilated. It’s sifted through. Again, in its wisdom – and depending on lots of factors — the brain decides what it’s going to keep and what it’s going to let go of. To optimize your sleeping and dreaming, one of the most important issues is to make sure you’re going to bed early enough, because if you have to get up at 6:30am, you’re just not going to get enough sleep if you go to bed after midnight. This includes making sure your electrical wiring is enclosed in conduits, as this will cancel out potentially dangerous electromagnetic radiation. If you’re really sensitive, it may be wise for you to flip the circuit breaker to your bedroom before going to bed. There are actually newer devices that allow you to do this remotely. “In terms of alarms, if you have to use an alarm, I think it’s better to opt for some of these newer, gentle alarms that will not blast you out of bed. You can get these for smartphones, or you can get them built into regular alarms. You can also use a dawn simulator that gradually brightens a light to simulate sunrise. If you’re exposed to light at night, even an hour or two before bed, you will suppress your melatonin production. This can have long-term health ramifications that go far beyond insomnia, as besides making you sleepy, melatonin also has potent anti-inflammatory and anti-cancer benefits. When you’re exposed to the blue wavelength of light, your brain receives the signal that it’s daytime, and it responds by suppressing melatonin. Television screens, computer screens, iPad screens, or smartphone screens—all of these emit blue light. There’s a free program called f.lux that you can download onto your computer that will automatically change the wavelength of the light during evening hours. This can ameliorate some of the adverse effects on your melatonin production, but ideally, you’d want to turn them all off at least an hour or so before bed, and dim any lights around you. Normally, melatonin levels are very low during the day. They rise up very gradually at night. Melatonin peaks during the last two or three hours of sleep, which is typically when you’re dreaming. Interestingly, melatonin is also a vasodilator—it opens up your peripheral blood vessels, allowing your body to dissipate energy as heat during the night. Our remaining energy is diverted toward cleansing and maintenance as well as immune system functioning. According to Dr. Naiman, sleep problems don’t typically occur because of a lack of sleepiness or inadequate sleepiness; they occur as a result of excessive wakefulness. In short, you’re running too hard, too fast. Oftentimes, insomniacs will have cortisol dysrhythmia, where their cortisol levels become elevated at night instead of in the morning. Basically, insomnia can be a side effect of being too hyped up; too frenetic, and not allowing yourself to simmer down and relax. “Given the context of the velocity of our lives, we tend not to notice how fast we’re going, and we really need to notice that. We need to yield, slow down, and even stop sometimes. When would benefit by installing speed bumps in our daily lives. The bridge that takes us from waking to sleep is the bridge of rest – true rest. We live in a world that is hyper-aroused. And we’ve forgotten what true rest is. People often confuse rest with recreation. They’ll go to a movie or go on a hike or bowling to ‘rest.’. But these are recreational activities, not true rest. True rest involves the practice of something that allows us to be receptive, to really slow down. I think the reason a lot of people resist this is because when we start to slow, we start to experience what I’ve called personal turbulence… We descend through a layer of unresolved emotions, thoughts and feelings. Typically when we hit this turbulence, we pull back up into activity. However, CPAP doesn’t necessarily have to be a lifelong treatment strategy. Lifestyle strategies such as exercise and diet can go a long way toward ultimately resolving the issue. Psychological factors may also need to be addressed. Interestingly, one alternative medicine approach for sleep apnea is learning to play the didgeridoo—an aboriginal wind instrument that requires you to learn circular breathing. According to Dr. Naiman, a small number of studies have shown that this appears to be curative for mild apnea. Another is oral myofunctional therapy. The interview I did with Joy Moeller can be really helpful for many with this condition. This technique is based on the neuromuscular re-education or re-patterning of the oral and facial muscles, and includes facial exercises and behavior modification techniques to promote proper tongue position, improved breathing, chewing and swallowing. “I think if somebody has insomnia, we want to maintain their sleepiness or sleep load. We don’t want them to remain sufficiently sleepy at night. Often if they do nap, they’ll end up napping for an hour or two, which is not good. But the other side of this is using the nap as a way of practicing sleep. If you don’t fall asleep when you’re practicing during the nap, it’s not going to impact the next day. I have various CDs available that offer guidance in practicing sleep. Dr. Naiman’s new book, Hush: A Book of Bedtime Contemplations, written to be read before bedtime,encourages you to get back in touch with your own inner wisdom about sleep. It’s based on an integration of sleep science, sleep spirituality, and sleep psychology, and includes what Dr. Naiman calls 100 Spiritual Prescriptions for Sleep.